Me: It’s gaming related! Look, see? The Elder Scrolls is one of the biggest gaming franchises out there! Anyway, I knew you were going to be like this about it, so I made the scones recipe for you as a peace offering. Steve: Ooooh scones! That makes a difference then. Where? What kind? In hindsight I could have maybe chosen a more enticing sounding recipe to win over the bossman but it had the desired effect anyway, and they were very tasty. Yes, there really is a recipe for cabbage scones in the book, or rather Cabbage Biscuits as this is a cookbook written for the American market, so bear in mind that you will need to convert measurements from cups and sometimes have to substitute ingredients if you’re in the UK but that’s no real problem. And the recipes are definitely worth trying. As well as baked goods like the cabbage biscuits, there’s a whole range of starters & sides, soups & stews, main courses, desserts and drinks all with themed names or relevant ingredients so that they fit well with the Elder Scrolls environment. 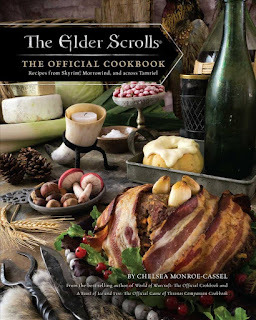 If you’ve played any of the Elder Scrolls games, you’ll know that there’s nothing high tech or exotic about the places you find yourself in and, likewise, the recipes reflect that real homestead, comfort food approach using ingredients that you could easily forage or grow in the homes that you build for yourself in the games. As well as the cabbage biscuits, I tried out the Juniper Lamb Chops and the Honeycomb Brittle, both very successful, and I have a bottle of Skooma cordial (okay, apricot and cardamom infused vodka which smells wonderful) fermenting nicely in the cupboard. I also really liked the look of some of the “basics” included at the start of the book, like herb and spice mixes for marinating meats and blended mustards, condiments and sauces for serving. I can really see those making nice presents for people too. 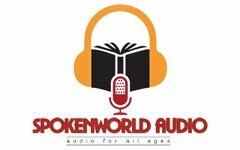 Even if you’re not enough of a cook to want to make the recipes and are more interested in the game lore, there is still a lot to read here. As well as each recipe having a theme-relevant introduction, including fun things like how many chicken eggs to substitute for a kwama egg (four btw), the book also covers the tastes and cuisines of all the different tribes of Tamriel, from the Nords to the Argonians, and gives tips on what to eat on which celebration day. Personally, I’m looking forward to trying honey pudding on First Planting Day this year. So, for me, this is more than just a novelty book and would make a great gift for any cook as well as fans of the franchise. As a recipe book, the instructions are well written, easy to follow (once you de-Americanise them) and the end results are very edible and, as a gamer’s companion book, it does add to the experience when you play the game and you can say that you’ve tasted something that’s being offered in the tavern on-screen. For now though, I’m off to check whether my Skooma is ready. Again.